Purslane (Portulaca oleracea - aka verdolaga, little hogweed, pigweed, pusley & vertolaga) is a succulent leaf vegetable with small green leaves and a mild citrusy, salty, "green" flavor. Thought to have originated in India, purslane is a relatively unknown vegetable in the US, but is popular in parts of Mexico, India, the Middle East, Europe and Asia. It is very nutritious – high in iron, calcium, magnesium, potassium, riboflavin & other minerals as well as vitamins A, C and B6. It also contains more linoleic Omega-3 fatty acids than most other plants. Purslane can be consumed raw or lightly cooked. It has a crisp, slightly juicy texture and can be blended into soups & other liquids to slightly thicken them (somewhat like okra). Store purslane in your refrigerator wrapped in a damp paper towel in a plastic bag. Do not store it in contact with aluminum to avoid an oxalic acid reaction. Leftover purslane can be pureed & frozen for long term storage. Purslane can be eaten raw or lightly cooked. 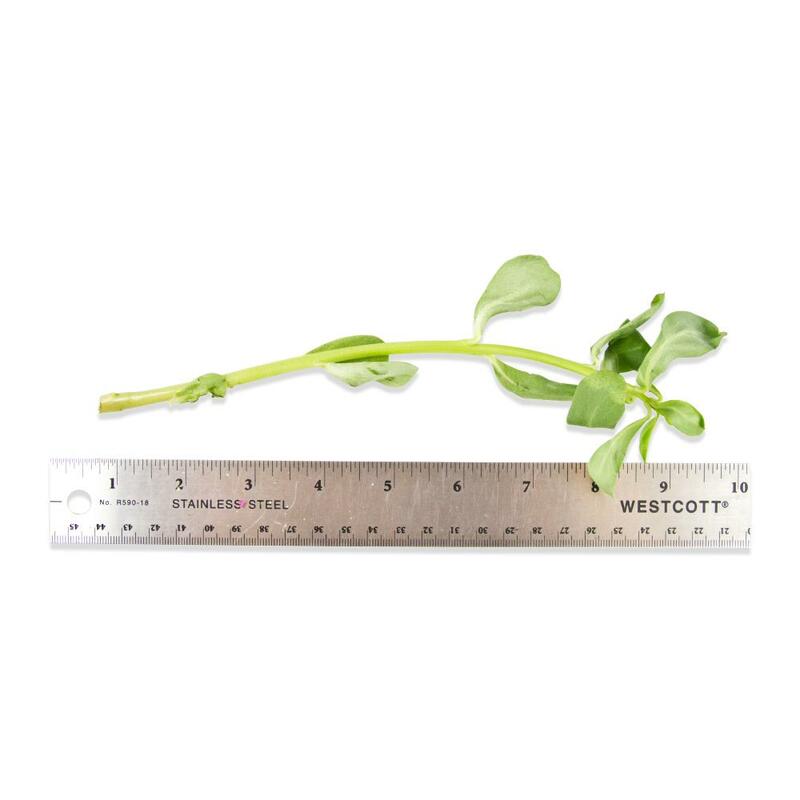 Both the leaves and more tender stems can be eaten. Because purslane contains oxalic acid, do not cook it or store it in aluminum or cast iron, as the acid can react with the metal to introduce undesirable colors and flavors. Lightly cook purslane as you would spinach or watercress for use a vegetable side dish (pair it with seafood or poultry) or add it to vegetable or meat dishes, stir fries, soups, sauces (béarnaise), or curries near the end of cooking. Because purslane is a mucilaginous vegetable, it can be used to lightly thicken soups similarly to okra. To make the leaves’ texture less jelly-like – blanch them for a few minutes in boiling water, rinse them thoroughly, and let them cool before serving. Raw leaves can be used as a garnish for a wide variety of dishes, tossed in salads, blended in smoothies or juiced. 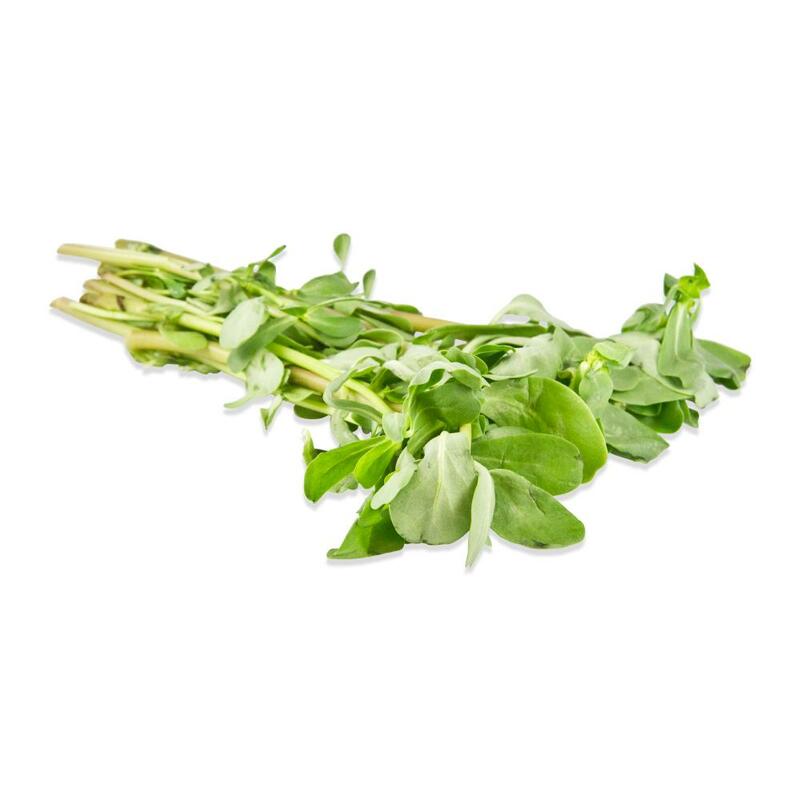 Pair purslane with flavors like basil, green beans, chervil, garlic, oregano, vinegar, cucumber, yogurt, mint, fish, poultry or meat.